Both security gates and driveway gates are both essential security features for any home, office or any other property. There is no need for this security feature to be ugly, dull or boring. Metal Sculpting offers unique wrought iron gate designs that will add an exceptional look to any property. Allow your property to stand out with our stylish custom designed metal gates. Metal Sculpting designs and manufactures custom gates that are designed to complement your property. Our custom metal gate products include both sliding and swing gates. These gates don’t just look good, they are manufactured to be secure and durable. To complement your custom security or driveway gates, we also manufacture durable and stylish exterior perimeter fencing. Exterior Fencing does not need to be the boring green straight up traditional look that most of us are used too! 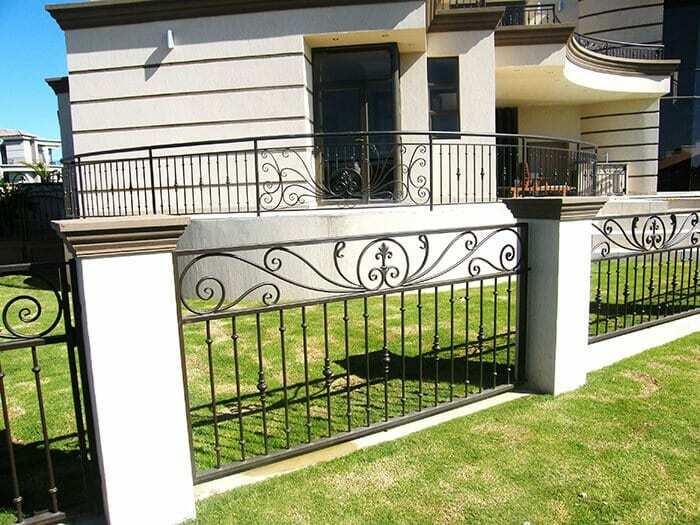 Our wrought iron metal fencing is uniquely designed for each client, and the one of a kind design will finish off the great look of your property. For more information about our metal gates or palisade fencing options, please give us a call on 011 421 9499 or email us at info@metalsculpting.co.za.